Looking for a girl chow chow to join our lovely little family, we are not fussed with age as long as from 1yrs old upwards. They need to be used to dogs of all age, cats and young children as I have a 4yr old child who loves our Male black lab to bits but we think he would benefit on having a friend as he loves to socialise with other dogs as well as people. I'm hoping to get him neutered by 8 months old as he is currently 6 months of age but I was hoping the female chow chow would already be neutered just due to it being a tricky situation and do not want them breeding. I am unsure how two males would be together so that's why I'm asking for female as only ever had experience with a Male and a female being together and they get on alot better than it being 2 females! They must have basic training and be house trained, good on the lead and have good obedience. I am happy to continue any training they do need as long as it is not ridiculously challenging as I am no dog trainer but have some experience. I will beable to give them as much attention as I do with my lab and son as I am quite an outgoing active person who likes to go out on daily walks so the walks will not be a problem for me. You are happy to visit the home and the area. I can answer any questions you may have and if a payment plan can be put in place this would be alot more beneficial for myself and partner. Please call my number rather than message so I know who I am talking to please thank you. Absolutely stunning kc reg cream chow chow puppies available now for there forever homes. Five generation pedigree microchipped wormed flead. These stunning little teddy bears are a fine example of the chow chow breed standard they will excel in the show ring or just make fabulous pets.Puppies were born on the 25th October.2018 and are now 11 weeks old,they will come with all papers and stuffs and they can be viewed with mother and grandmother and are part of the family. For more info don't hesitate to contact me. Genuine enquirers. Crufts continues to open its gates for dashing dogs to prance around. For 128 years, Crufts has served as a pawesome gathering of pet lovers. Moreover, this gathering is also celebration for every paw that plays a significant role in our lives. This is Crufts 2019 in pictures and videos. Dog Feeding: How Often Should I Do It? Should you feed your dog once, twice, or more times a day? The answer depends on 3 things: dog breed and habits, health status, and age. 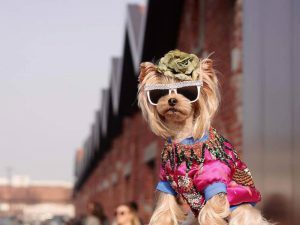 The 16th annual New York Pet Fashion Show, which was held in Hotel Pennsylvania, flauntingly exhibits dogs donning gem-studded masquerade costumes and masks including rescue dogs in need of homes. 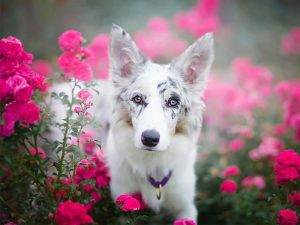 Sweet spring season begins in the month of March, which can be a perilous period to your dog. A dog wandering around the flowers in your garden is at risk of the black and yellow insects. The bees and wasps can be anywhere idling in the grass.